In New Jersey, when you are convicted of driving under the influence, the penalty varies whether it’s your first offense, second offense, third, or more. However, if your last offense was more than 10 years ago, it will not be counted against you in sentencing. For example, if this is your second DUI but your prior DUI was over 10 years ago, your new case will be counted as a first driving under the influence and you will be sentenced accordingly. If you get charged with driving under the influence for the second time within a ten-year period, you will lose your license for two years as well as face anywhere from 48 hours to 90 days in jail. You will need to pay a $500-$1,000 fine as well as a $1,000 surcharge each year for three years, in addition to several other fees, fines and surcharges. In addition to all of that, you will need to do 30 days of community service, 12-48 hours of IDRC courses and have an ignition interlock device put into your car that makes you take a chemical breath test every time you get into your car for 1-3 years after your driving privileges have been restored. If this is your third offense for driving while intoxicated within ten years, you will lose your license for ten years, face 180 days in prison, pay a $1,000 fine as well as a $1,500 surcharge each year for three years, among many other fees. In addition to those penalties, you must do 90 days of community service, some of which may reduce your prison sentence. You will also have to do 12-48 hours of classes in the IDRC and have the ignition interlock device in your car for 1-3 after your driving privileges have been restored. Having multiple DWI’s on your record can affect your life for years after your offenses have occurred. 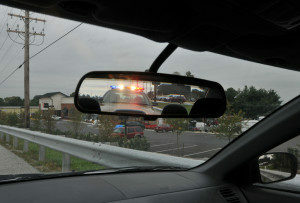 The penalties in New Jersey are very severe and you will need experienced legal counsel to help you with your case.